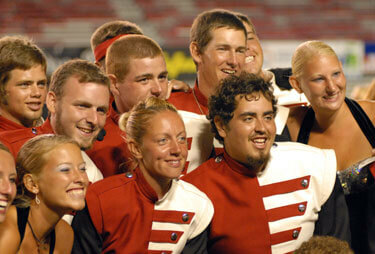 November marks the unofficial start to the 2007 season as many corps start to host their annual auditions. DCI.org has asked directors and staff members for their tips to help you on your way to becoming a member of the world's most elite and exclusive marching music ensembles. Practice hard and good luck! Colts; August 11, 2006; Madison, Wis. In an audition, staff members look for a little talent, a great attitude and a lot of commitment. On audition day, prospective members can expect to learn about the organization they are auditioning for and even more about what it takes to be a part of a world-class drum corps. Most of all, they should also expect to have fun. - David Glasgow, Bluecoats executive director. Check out a list of audition dates for the corps you want to join.